You wouldn't go to a mechanic to fix your teeth, or call a doctor to help with your leaking pipes. When you need something important, you go to an expert. So why trust your feet to anything but an expert boot-maker? 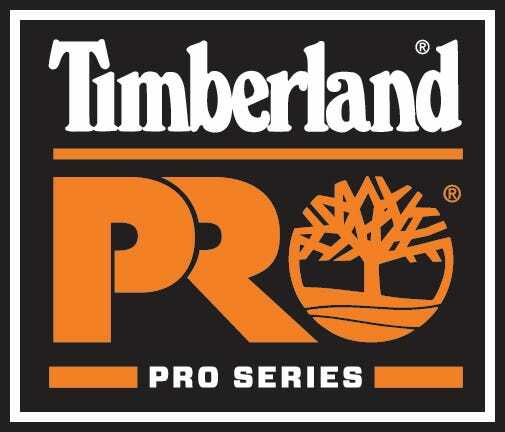 These Timberland PRO Men's 91614 Rip Saw EH Water ... (see full details) (see specifications) #TMBTB091614001. You wouldn't go to a mechanic to fix your teeth, or call a doctor to help with your leaking pipes. When you need something important, you go to an expert. So why trust your feet to anything but an expert boot-maker? These Timberland PRO Men's 91614 Rip Saw EH Waterproof Black Composite Toe Logger Boots were made by experts who specialize in creating tough, comfortable, and safe footwear, because when it comes to your feet, you need a pro boot-maker...and not an orthodontist. They're made with a combination of premium waterproof leather and durable abrasion-resistant Ever-Guard leather. The waterproof membranes add another layer of moisture protection in these abrasion-resistant boots. The lightweight membranes of these logger boots block water, so you stay dry and snug inside. You'll also find lightweight mesh lining inside these waterproof boots. Treated with an antimicrobial protection, the lining kills odor-causing bacteria before it becomes a problem. This footwear is also built with dual-density Anti-Fatigue Technology that softens your steps and absorbs painful impact. The design doesn't just soften your stride, it improves it. The technology absorbs shock and returns it as energy back into your steps at key zones along the feet. Made with moisture-management technology, the two-layer cushioning of these men's boots draws sweat away from skin to leave you feeling dryer and more comfortable. There's also an Independent Suspension Network inside these anti-fatigue boots, built with Timberland's exclusive technology. That means your every step will be well-supported when you wear these Timberland PRO boots. Steel shanks add structural support to the design, lifting your arches and following the natural curves of your feet to prevent muscle strain. These antimicrobial boots also feature the PowerFit Comfort System and come with Timberland PRO’s 30-Day Comfort Guarantee. Goodyear welt stitching was used to join the Vibram rubber soles to the leather uppers of these anti-fatigue boots. Leather welt was also used for a durable, heat-resistant bond. The Vibram outsoles on these EH boots are manufactured for traction and for comfort. They're built with shock-resistant rubber and ISN polyurethane comfort zones. Lightweight polyurethane weighs less than rubber, but it absorbs even more force. Oil-resistance protects the tread from common corrosive agents. The soles are even abrasion-resistant and tough against every day wear and tear. Constructed with a Ladder Lock outsole radius, these soles are made to grip and stay firm to keep your steps steady. Your steps will also be safe in these black shoes. Some of that is thanks to the Swen-Flex puncture-resistant plate. This protects you from nails, glass, sharp rocks, and other hazards you may never see coming. The safety toes of these puncture-resistant boots protect you from the stuff you do see coming, but can't avoid. Shaped on a Titan last for a roomy fit, the composite toes are ASTMF 2413-05 rated to guard you from impact and compression. The composite toe is non-metallic and lighter than steel, but it protects just as well. Unlike steel, composite doesn't conduct electricity, so there is extra safety added to these composite toe boots. They also meet the Canadian Safety Association’s standards, meaning these Rip Saw boots provide protection from open circuits and are puncture-resistant. Timberland PRO 91614 Rip Saw EH Waterproof Black Composite Toe Logger Men's Boots were made by pro boot makers who know what they're doing. Isn't that the kind of comfort and safety your feet deserve? Order your pair online from the Working Person's Store today. In the past month or so the leather covering the composite toe cap tore just a little and has continued to get worse, I'd say 70% gone on the toe cap. I figure the waterproof feature is pretty much gone with that. Other than that leather wearing out in less than 6 months and the initial weight of them (you just get used it), they're a great boot. As I said, very very comfortable as compared to Wolverines, Docs, Schmidts, Carolinas, etc, If i can figure something out for toe coverage on them I'll get another pair. I have had 3 pairs of these Timberland PRO boots over the years and loved all three pairs. I got almost a full 2 years of use out of the first pair before they finally came apart at the seams, literally. I work in Highway Maintenance and I am out in extreme conditions from triple digit days with 70% plus humidity to blizzard like conditions with wind chills of -50 degrees Fahrenheit. These boots have never let me down. A pair of thick wool socks over a pair of cotton socks and my feet stay warm all day in the winter. Sometimes I work 16+ hour days and these boots have never left my feet sore or hurting. I use these boots in a power plant the last few years. When I originally bought them I was an on shift operator and would wear them for 12+ hours a day for 7 days before time off. They are some of the most comfortable boots I've ever worn. I suffered through a Morton's neuroma after hiking with a pair of tight Danner hunting boots and other boots give me pain but these don't. I even started wearing them when not working due to their comfort. Several years later I've worn the sole uneven on the outside of each boot and am looking to replace them with another model of Logger from Timberland. Their only drawback is probably their overall weight and they are large. Very good quality boots. Sturdy and solid, I will buy again. Very comfortable and had plenty of boots in the line of work. Had Carolina boot,s wore out extremely fast, tried different brands and installed tuff toe so far so good. Wow! Christy is a wonderful person to deal with - VERY helpful... pleasant, although it was evident that she was dealing with a massive amount of calls. I'm very impressed with this company! Timberland PRO Boots: Men's 91614 Rip Saw EH Waterproof Composite Toe Boots is being added to your cart.